Picture the scene. You’re an avid Sea Fisherman on holiday with the family this summer, you’re staying at a holiday park that has a fishing lake, but you only have your LRF gear on you as it’s all you could fit in your packed out car. Your first instinct would be to head to the nearest harbour and fish what you know, in doing that though you would be missing out on a fantastically fun way to catch all the Coarse species you don’t normally associate with Lure fishing. LRF or Light Rock Fishing is already popular in Freshwater, going by names such as Light Range Fishing or Finesse Fishing, whatever the name the technique remains the same – using ultralight rods and small reels, trying to lure out the predators big and small from the water in front of you. The popularity of dropshotting for Perch & Pike makes them the natural start point for the beginner Fresh’ LRF’er, but what if your holiday lake contains no predators? This is quite a common occurrence in farmer’s ponds and commercial fisheries, due to the owners not wishing to replace their silver fish every few years. So what baits do you have in your tackle box or lure bag that could tempt the much less predatory Carp, Roach or Tench? Small spinners and spoons aren’t likely to do much other than foul hook a fish and we aren’t interested in that, small rubber shads on jigheads have a slight chance of catching but the real weapon in your arsenal is good old Isome Sandworm, preferably Maruyka or Power Isome, these not only drip with amino acids but also have a delicious fruity scent – perfect to tempt a sweet-toothed Coarse fish. 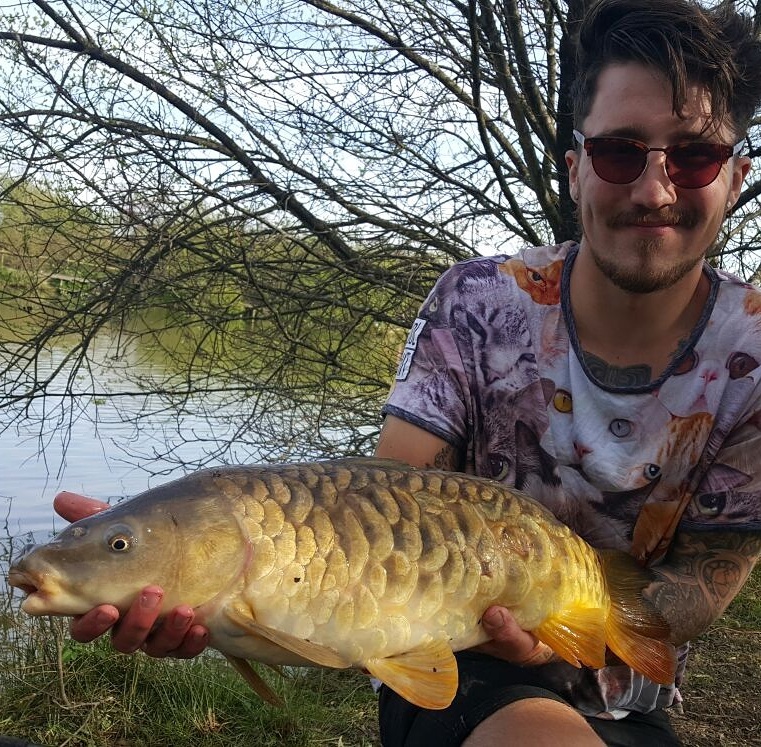 The revolution of these baits in sea fishing has been massive and freshwater is no different, there are a multitude of ways to fish it and they need not be any different to how you fish at home. It’s well documented how greedily sea fish gobble up these bio-degradable lures but not so well known that Coarse species love them too. A Nice Solid Carp Who Couldn’t Resist Pink Isome! With LRF, quite often dropshotting is the go to tactic especially around harbour walls and other strong features. Dropshotting really keeps you in contact with your lure and helps you detect every bite, miniscule or huge. Using this tactic in the sea we can trick all the inhabitants that make tight spaces, right beneath your feet, their home. Lakes and Ponds are not much different in the fact that (especially in the summer) you’re most likely to find fish right in the margins. Carp are renowned for this, if you are still and quiet you will see them with their broad tails nearly out of the water as they stir up the silt only inches from the bank, they have a clever habit of picking up the dropped bait that anglers accidentally drop when they are baiting their desired spot. So it doesn’t take a massive leap of imagination to see that, with a little patience and stealth, you can tempt these fish too. Three words of warning before we start on Carp though, set your drag! I cannot stress enough how even the smallest carp can push your ultralight tackle to the limit. Imagine a Ballan Wrasse that has stamina and grows significantly larger. So be prepared for the fish to run, nobody wants snapped lines (or Rods! ), lost tackle or a potentially dead fish. You don’t want it too loose, just enough for the reel to comfortably give line but provide some resistance to a hard fighting fish. I find that adjusting the drag mid-fight can also help land the bigger specimens should you hook one – loosen the drag as it gets nearer the bank just to save any unexpected last line-snapping lunges. Now you’re prepared to fight one lets talk about actually getting one on the line. I do not use any bigger than a size 12 hook for this kind of fishing and prefer a size 14, if you can get hold of the longer shanked Fly Tying Hooks even better, I find the hook-ups to be significantly better due to being able to thread your isome further along the hook, hindering any pesky little Rudd or Roach who just want to pull the worm off the hook without taking it fully. It’s not always easy tying a Palomar Knot on tiny hooks as they have very small eyes but it can be done with cleanly cut fluorocarbon no stronger than 6lb. After the hook is tied it is just a case of placing your weight (4-5 grams is perfect) around 3-5 inches below, this can obviously be adjusted higher or lower depending on where the fish are feeding, if they are hard on the bottom then even just a inch will do. 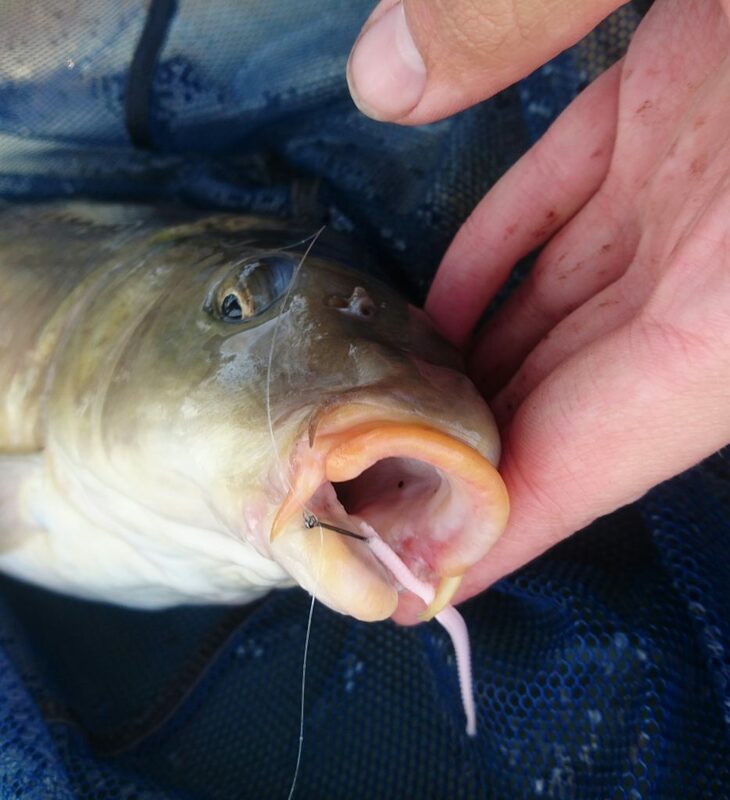 It’s worth remembering though that carp use their fins to ‘kick’ up the silt below them, suspending their food items briefly in front of them then slurping them into their rubbery mouths, so a bait item a just off the bottom is quite a natural occurrence to them. What size isome to use is important too, I’ve had the best success using small to medium size as I believe this gives the most natural presentation as it twitches and moves in the water. Carp Can Really Put Your LRF Tackle To The Limit! If the fish are not showing in the margins and you wish to guarantee results (and lets be honest you’re on holiday so that’s a given), bring a tub of maggots or worms with you, feed up an area and lower your set-up into the water. Rudd & Roach are normally first to any bait and you will quite likely hook quite a few of these, at least until the bigger fish arrive. The Carp, Bream and Tench will normally push out the majority of the smaller fish and shouldn’t be shy taking your imitation. I don’t move the rod in a traditional ‘dropshotting’ manner, I keep it still and wait for the bites, all the commotion should make the lure move by itself, too lively and its likely to make the fish wary. When a Carp takes the lure it quite often feels the weight and bolts off, hooking itself and giving you a shock, other species like Bream & Tench are more gentle but hold on to your rod tight as its likely to fly! 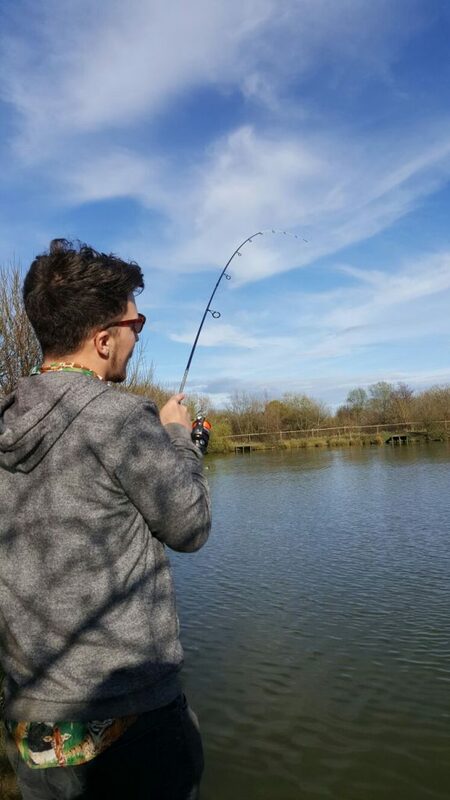 I obviously do not recommend this technique for waters where there are lots of large carp over 15lb or so, your LRF set up is only built to take so much and nobody wants to see their favourite rod damaged, but on a regular day ticket water or farmers pond it can be exhilarating sport and I can’t recommend it more. Try seeing how many species you can tempt and with different size isome. Be aware that some waters do not allow Imitation Baits, so far I have not had any issue with isome due to it being biodegradable and digestible. Other ways to finesse fish these Commercial waters involve your typical light jigheads with either Isome or small rubber lures twitched along the lake bed, this is a fantastic way to land the big Eels that commonly frequent coarse fisheries, growing to surprisingly large sizes on a diet of a small fish and carp baits. Free-lining small isome can prove deadly too for wary carp or big Rudd as it falls naturally through the water. It really is about using your skill and imagination to make the most of different fishing conditions. If you fancy Trout for dinner then LRF techniques have been proven to be almost too successful at catching them, be careful not to end up with a massive bill at the end of the day with your bag of fish! Speaking of Trout it’s worth saying that Simpson Valley Fishery in Holsworthy, Devon allows catch and release Trout Fishing in the winter months using LRF, giving you a fantastic chance to boost your freshwater skills whilst playing some of the best fighting fish you can find. One of the things all of us love about LRF tackle is it makes every fish, from the tiniest Goby to the largest Carp, so much more fun to catch. So on whether you’re on a Summer holiday or you just fancy giving it a shot, try ‘Fresh LRF’ and I’m sure you will be a true convert. Best of luck and I’ll see you on the bank!